Hey sweet friends, I love a good party and guess what? It's my 3-year Blogiversary! It's been a wild ride, with lots of ups, downs, mistakes and triumphs! I am so excited to offer my readers 4 days of Giveaways to help me celebrate! 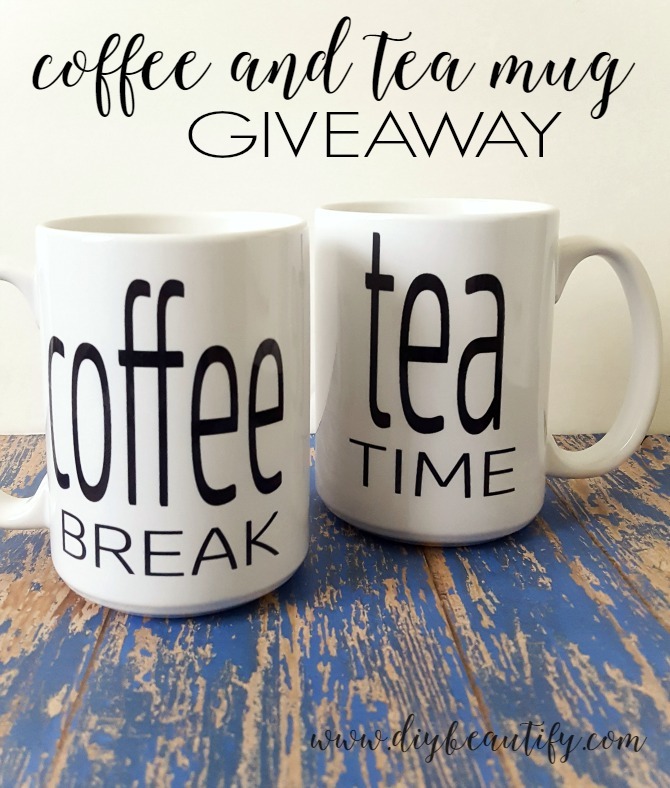 These giveaways are my way of saying THANK YOU for supporting my blog, reading my posts, commenting and building a relationship with diy beautify! It's because of YOU that I haven't given up along the way when times have gotten hard! The next two weeks are going to be a lot of fun...I'll give away something new each Monday and Thursday for the next two weeks. That means 4 winners! 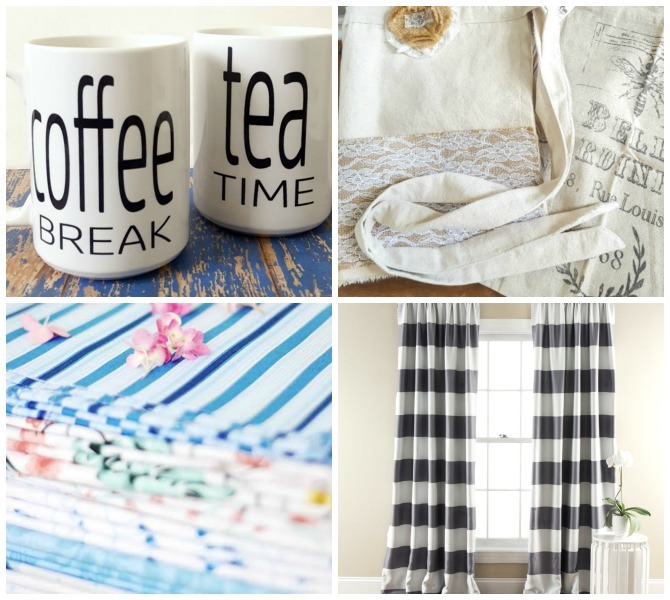 If you're not already following along, click here to be notified of each giveaway. 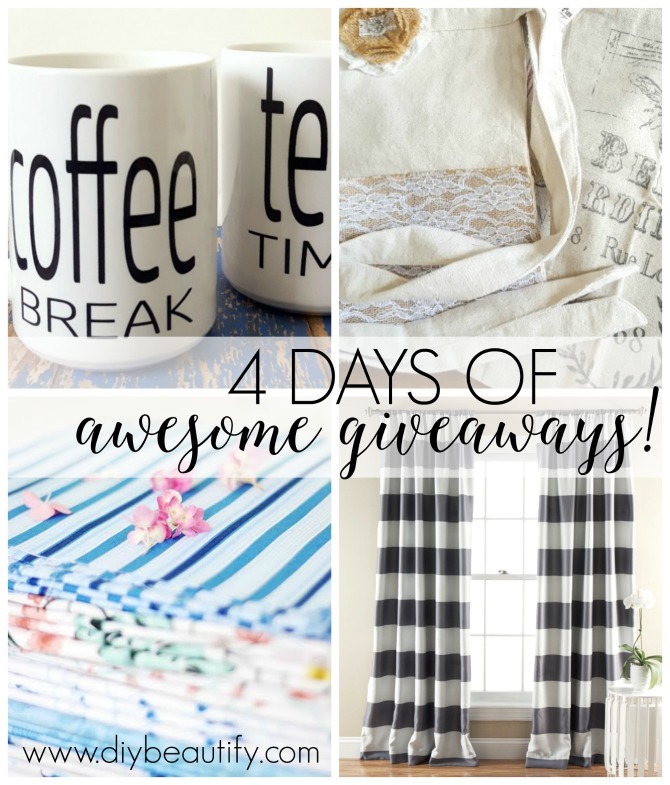 Day 4: pair of Stripe Blackout Curtains in color of winner's choice from (affiliate link) Lush Decor! Sound like fun? I hope you're excited! That means you can enter to win these awesome mugs. 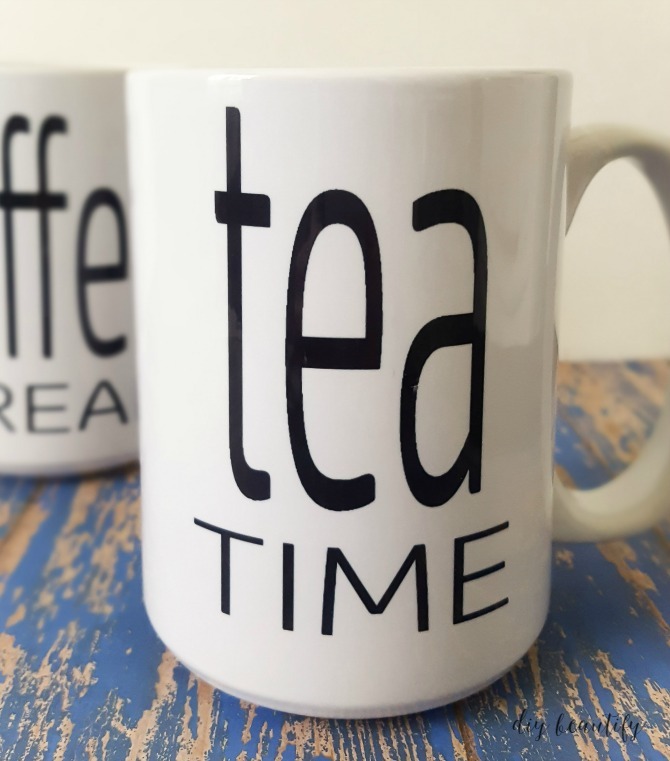 These mugs are for the serious coffee or tea drinker. 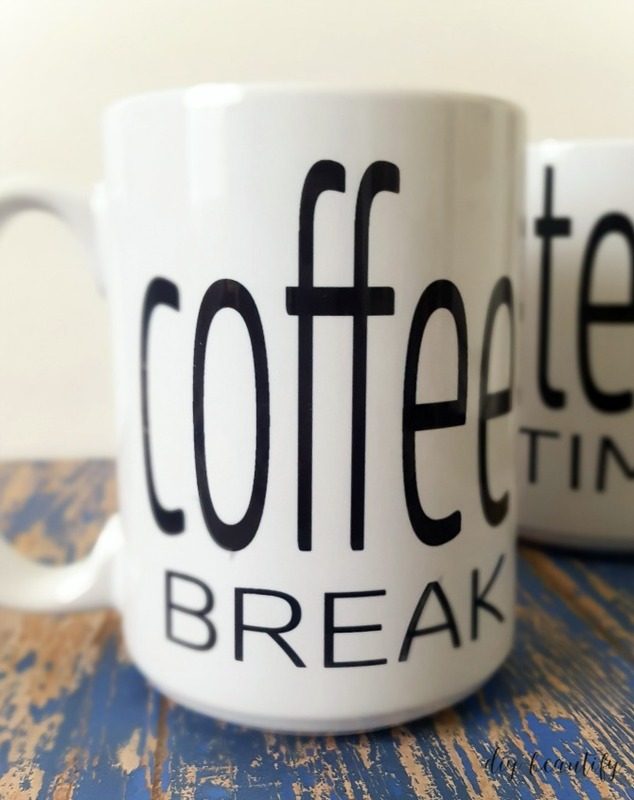 They're big, chunky and sturdy, perfect for the first cup of coffee (or tea) of the day! ...or tea is more to your taste, I've got you covered! Keep them both or share one with a friend! Each mug is printed on both sides. As promised, there will be a few fresh baked goodies inside each mug! To keep it easy, I'll be announcing the winner of the mugs on Thursday, as well as running the giveaway for the next item! So don't hesitate to enter, and please SHARE this giveaway with friends! Thank you for the contest. I don't comment, but enjoy checking in on your projects. I have learned so much and have been inspired. Thank you. Thank you so much for your sweet comments, Yvon! It makes me smile to hear that I have inspired you!